Our interactive reptile experience is an age specific, hands-on demonstration. The demonstration takes place at a location of your choice. 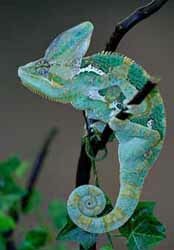 Our staff of highly trained professionals will provide five of our very own exotic animals. Our demonstration runs one hour in length. During this hour we elaborately mesh education with a totally interactive, 100% hands-on experience. During our educational segment we teach the audience the particulars of each animal. Petting and touching is always encouraged during this time. 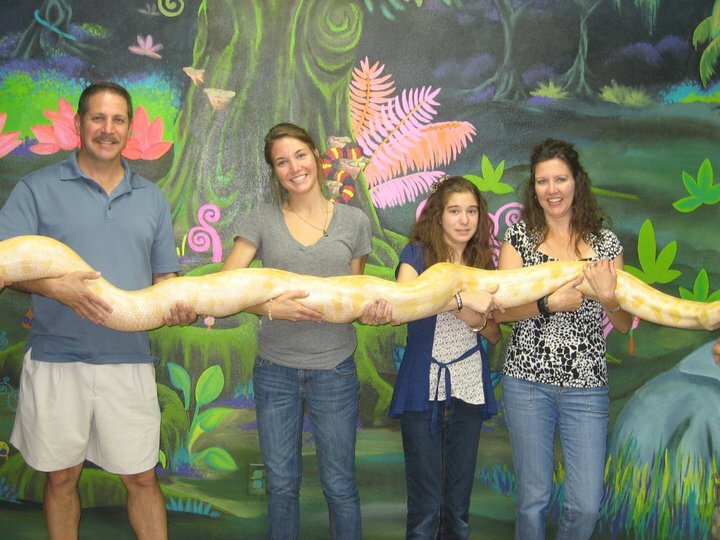 Our hands-on portion allows the attendees to hold the available exotics. This allows each person to encounter a beautiful piece of mother nature. All of our show animals are personal pets of the owners and volunteers. Each of these wonderful animals receives regular handling by small and large groups of people. Animal bites and diseases such as salmonella are always a concern of our staff. However, all of our animals are believed to be salmonella free and have never expressed a need to bite. Our staff always takes the necessary time and precautions before, during, and after each demonstration to ensure the safety of both the animals and attendees. 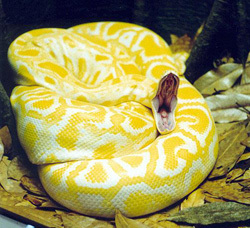 There are two ways for you and your family to enjoy our reptile demonstration: at a location of your choice or at our building. You can bring the party to our building and keep the mess out of your house. We offer a totally separate party room for small groups. When the party takes place at our building, we give you the party room for 2 1/2 hours. Your group enjoys the same one-hour demonstration you would enjoy if we came to your location. After the demonstration, you can continue your party for an additional 1 1/2 hours. During this time, the party goers are welcome to browse the shop and keep the reptile experience fresh. There is an 28 child limit in our party room. The birthday child will receive 15% off any in-store purchases for the day. We include table covers, 30 invitations, and a tray of 30 cupcakes. Please see our pricing page for pricing specifics. If you are looking for a unique experience for a large group of people, we are the professionals for the job. We have worked with groups as large as 800. If you are looking for entertainment for your group, contact us with specifics and we can make it happen. We can come to any location of your choice. We have visited a variety of locations including homes, parks, churches, schools, day cares, even summer camps. You simply pick the location and we bring the animals to you. We will drive 50 miles round trip for free. After that point we do have a travel fee. Please see our pricing page. There is no limit on the number of attendees. However, groups larger than 18 may receive a less interactive demonstration. Please review our simple list of rules by clicking here before scheduling a show at your location. Do you need a booth to really draw attention at your next Expo or Fair? We offer significant price breaks on all-day and half-day fairs. We can set up a booth featuring several of our animals. We also allow the public to handle these animals during the course of the fair. Please contact us with specifics and we can give you a price quote.